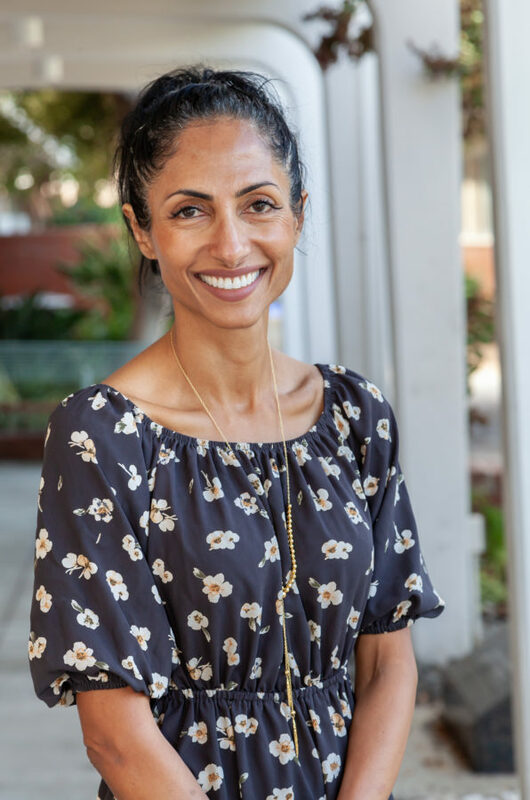 Early on in the Hermosa Beach City Council’s Sept. 25 meeting, a member of Leadership Hermosa, there to provide some updates on the coming year’s curriculum, began her remarks by announcing that the power had gone out in a large swath of the city. Newly appointed City Manager Suja Lowenthal quietly got up from her seat at the dias and stepped out of council chambers, cell phone in hand. Lowenthal returned several minutes later and, once the Leadership Hermosa presentation finished, announced that the power had indeed gone out in approximately 4,500 Hermosa homes. The county fire department and the city’s public works department were responding, Lowenthal said. At 7:53 p.m., about 15 minutes later, the city announced the outage through an advisory message on the city’s email alert system. Southern California Edison, the alert announced, planned to restore power by 11 p.m. In fact, the lights came on in the affected homes shortly after 8 p.m. Lowenthal had not donned a hard hat or climbed a cherry picker, but she had done about the best thing that someone in her position could: indicate that she was listening. Lowenthal began her tenure with the city on Sept. 17. She will be the fourth city manager in Hermosa in less than six years, including two interim stints by John Jalili. Tom Bakaly, who replaced longtime city manager Steve Burrell in 2012, left in 2016 to run the Beach Cities Health District. Bakaly’s replacement, Sergio Gonzalez, served less than a year, leaving for a position closer to his home in the San Gabriel Valley after the hours he spent in traffic each day became too much. Following Gonzalez’s resignation in February, Mayor Jeff Duclos cited John Wooden in describing the city’s approach to selecting a replacement: “Be quick, but don’t hurry.” Though there is never a good time to be without an organizational head, Duclos cited several tasks facing the city that added urgency to the selection. Lowenthal arrives after the city approved PLAN Hermosa, its once-in-a-generation General Plan update, but with the hard work of actually implementing the plan still to come. Some large developments, such as the Skechers project on Pacific Coast Hwy., are approaching construction, while other era-defining projects, including the proposed Strand & Pier hotel and retail complex, await further scrutiny. And, as Hermosa begins to catch up on deferred public works like sewers and sidewalks, it faces looming decisions on bigger projects, like its aging civic center. Lowenthal will be confronting these issues as a first-time city manager, but she comes to Hermosa with decades of experience in local government. In her previous positions she has ranged over enough ground — water replenishment, public transit, domestic violence — that it is difficult to brand her as a specialist. If there is a focus, it is issues that are highly visible yet frequently misunderstood. Regardless of the subject matter, it has often been Lowenthal’s job to make sure the work of government does not feel like a pointless imposition — that people would not be better off if they had simply maintained the status quo. And given that she has done this work in places such as Long Beach and Santa Monica, which are quicker to embrace new ideas about how cities should look and function than almost anywhere else in the country, she has had, like Lucille Ball, a lot of explaining to do. Francie Stefan, Santa Monica’s assistant director of planning and community development, worked closely with Lowenthal from 2012 to 2016. They headed up mobility efforts in the city ahead of the opening of Metro’s Expo Line extension to Santa Monica, which connected downtown Los Angeles to the beach via train for the first time in six decades. Many of the lines on Santa Monica’s Big Blue Bus were going to be rerouted as a result, and Lowenthal did extensive outreach to affected riders, Stefan said. But her true gift was engaging groups whose stake in mobility issues might not be immediately apparent. The city’s fire department, for example, came at the issue from a narrow perspective, Stefan said, but got on board after Lowenthal helped explain how the changes could reduce risk and increase access.And some in the business community lost their skepticism after Lowenthal designed a program allowing them to purchase bus passes for their employees in bulk, and at a steep discount. “Setting up a conversation that changes minds: that’s a real art form, and it takes someone who has a certain perspective,” Stefan said. As was the case when she offered the update on the power outage, Lowenthal tends to speak softly, in a low, even register. It is difficult to imagine how she might sound if she were angry or emotional. And fittingly, when it comes to politics, she views persuasion not as an act of bullying or trickery, but of empathy. “That’s really the biggest thing I learned early on: It’s not enough to be intellectually correct. It’s absolutely not enough. You have to figure out what makes people’s heart beat,” Lowenthal said. Before coming to Hermosa, Lowenthal served on the Board of Education for the Long Beach Unified School District, and on the Long Beach City Council. Those experiences make her one of only four city managers in California to have held elected office. Another is her former boss, Santa Monica City Manager Rick Cole, who previously served as mayor of Pasadena. Cole, who has also held the city manager post in Ventura and Azusa, said that the typical career path for a city manager is “pretty narrow, and almost always includes rising through the ranks of city government management.” Securing the position without following that traditional path, he said, requires something special. “It takes an unusual background to be considered a plausible entry into the ranks of city managers. And Suja is an unusually qualified candidate,” Cole said. Lowenthal was born in Madras, India, which today is known as Chennai. In a speech delivered in 2015 to the United States National Committee for UN Women, Lowenthal told the story of how her mother chose at 16 to leave her native village and board a train for Bombay, in defiance of her family’s wishes, to enroll in nursing school. The decision would elevate the importance of education in their family. When Lowenthal was five, her mother left India for the United States to work as a nurse. The daughter followed two years later. Lowenthal went on to earn an undergraduate degree from UCLA, an MBA from Cal State Los Angeles, and a doctorate in policy, planning and development from USC. 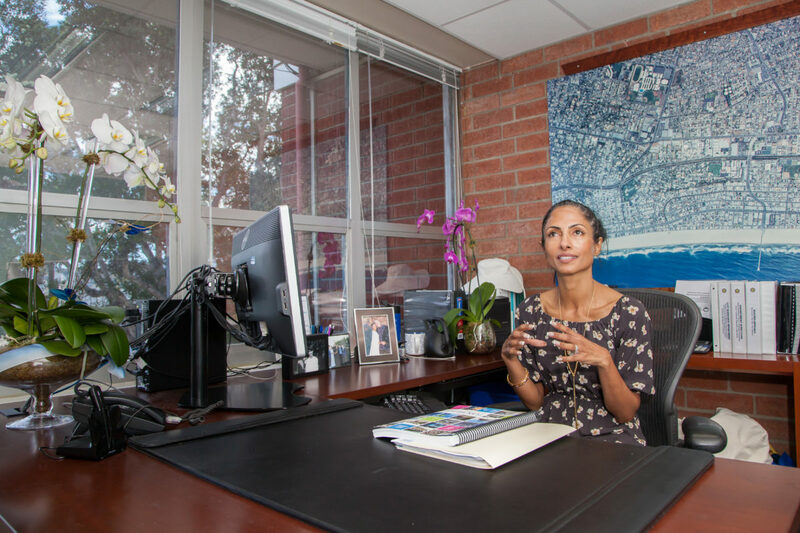 She worked for the City of Los Angeles, first for the Department of Aging and then for the City Attorney’s office, before joining the Central Basin Municipal Water District. Lowenthal’s first foray into elected office was with the school board for Long Beach Unified. In 2003, two years into her term, LBUSD was named the nation’s best urban school district by the Broad Foundation, and earned a $1 million prize. In 2006, Lowenthal won a seat on the Long Beach City Council, representing District 2. When she joined the council, the area in her district now known as “Retro Row,” did not yet have that name. There were several vintage stores, but each of the area’s businesses, like the then-new Portfolio Coffee House, were operating in a vacuum. “It didn’t appear that they were in charge of their own destiny,” Lowenthal said. Lowenthal spoke to the businesses about the merits of forming a business improvement district, and in 2008 businesses in the area voted to incorporate into the 4th Street Business Improvement Association. Today, the area is hip and thriving, with restaurants and music venues to match the vintage stores, and the improvement association has dozens of members. The neighborhood hosts “Fourth Fridays,” during which a segment of the street is closed off, DJs and musical acts set up, and businesses open their doors to surging foot traffic. In a story last year in the Long Beach Press-Telegram, business owners attributed some of the area’s rise to the cohesion that came from forming the BID. Lowenthal said businesses in Hermosa’s downtown could similarly benefit. Suzie Price was elected in 2014 to represent District 3, which bordered Lowenthal’s District 2, on the Long Beach City Council. Both districts contain part of Long Beach’s tidelands, which are subject to state restrictions that other territory in the city is not. She said Lowenthal helped push forward tidelands projects in her district, such as the Naples Seawall. “She was always very prudent about where we spent our money. She was not guided by serving some special interest, but on doing what’s right. I never had to worry about her giving away the farm,” Price said. In the City of Santa Monica, Lowenthal dealt with issues surrounding the city’s airport, and oversaw transportation and mobility issues. Lowenthal’s most recent position was as a senior advisor to the Santa Monica city manager, where she worked on issues surrounding the Santa Monica Airport. She began working on the issue following a consent decree between the city and the Federal Aviation Administration that created a path toward the airport’s eventual closure. It was what residents had been after for decades. Or so Lowenthal thought. The airport is an example, Lowenthal said, of being forced to confront expectations, sometimes unrealistic, that the solution to certain problems is simple. Homelessness, which has recently attracted attention in Hermosa for a series of alleged crimes committed by apparent transients, may be another. (Thursday night, she and acting police chief Milton McKinnon, will discuss the incidents and public safety.) She pointed to the City of Manhattan Beach’s recent “anti-camping” ordinance, saying she is aware that there are people who would like to see Hermosa do something similar. “Bans sound great to people. It seems like it means zero tolerance, which is actually awful for an issue like that, but really it means drawing rings around your city, which is just pushing the problem elsewhere. I don’t advocate drawing rings around our city as much as I do working with our neighboring cities. We may not have shelter beds here in Hermosa, but we can identify shelter beds elsewhere in the county, We have to be able to look beyond our boundaries. That takes a lot of relationship building,” Lowenthal said. Typically, however, public sentiment is actually pretty forgiving, so long as the public is actually consulted, Lowenthal said. She pointed to her experience in transit. In Long Beach, she helped the city create the most “bike friendly” downtown in the country. It was complemented by special efforts to make women, children and the elderly feel more comfortable cycling. And in Santa Monica, she said, even those upset about a change in a Big Blue Bus route felt better than they would have otherwise, because of early, upfront public involvement. “While not everyone was happy with the system reroute, people were involved: it wasn’t just us planners sitting in our office making these wild assumptions about how people travel,” she said. “The people you serve really just want to be asked. We’re not here as public servants to assume we know what people want,” Lowenthal said. Though her profile is likely to drop now that she is a staff member, rather than an elected official, Lowenthal has not shied away from taking a stand in the past. Robert Garcia, the mayor of Long Beach and a former colleague on the council, recalled seeing her in an early march to oppose Proposition 8, the California ballot measure that banned gay marriage in the state. (Prop. 8 was approved by voters in November 2008, but a federal judge later deemed it unconstitutional.) He described Lowenthal as tough, honest, and well-informed, and anticipated that she would be “a consensus builder,” in Hermosa. And like Cole, he complimented Hermosa for hiring a woman of color to fill a position that is overwhelmingly held by older white men. “She is really a great reflection of where California and coastal cities are going,” Garcia said. “I knew he cared about Nemo, but in that moment it was too esoteric an example. We’re asking people to care about marine life, but they also need to live in their home, they need to live in their community. We can’t take that for granted,” she said. As with transportation, homelessness and other issues, the environment is one more opportunity for Lowenthal to have a conversation. Luce, discussing Heal the Bay’s beach cleanup program, sounded a bit like Lowenthal on the subject of getting people to see the bigger picture. “People think, ‘Wow I just picked up 40 straws and 85 cigarette butts.’ That level of engagement, it changes people’s hearts, and makes a big difference. Then they cannot bear to see other people use that straw or leave that litter,” Luce said. A community reception for Lowenthal will take place Wednesday at Locale 90, at 1040 Hermosa Ave. The reception is free to attend, and will go from 6 p.m. to 7:30 p.m. Correction: A previous version of this story incorrectly said that Lowenthal obtained a PhD in policy, planning and development. In fact, she received a doctorate, not a PhD.